APMIT Teacher's Education Center is the brainchild of our Institute Founder and Visonary, ( Late ). Pt. 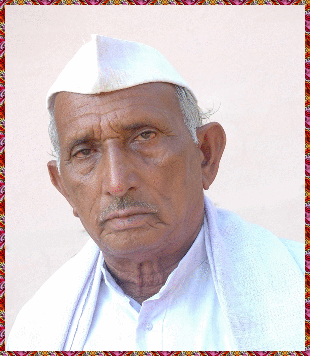 Badri Dhar Dwivedi. His Guidance and Strong belife to impart new milestones in the area of Education was key to relize this Institute. APMIT Teacher's Education Center is a premier institution devoted to quality teacher education at secondary level The college has its motto a verse from Bhagavat Gita "Uddhared atmana tmanam"ie : "One should lift up the self by the self”. Our Vision is to impart quality Education that fosters a better social order. The College is affiliated to NCTE, Jaipur from the academic year 2013 The institution is recognized under 2 (f) and 12 (B) of the UGC act and it follows the UGC guide lines and norms of the NCTE. The NCTE has fixed certain norms for running B. Ed programmes. NCERT also provided certain guidelines for the curriculum development and implementation. Develop a sense of professional commitment and accountability in the trainees. Mould dedicated and responsible teachers with professional and research competencies. Instill in the student teachers specific skills needed for discharging duties as responsible citizens. Instill a sense of self esteem and progressive outlook among the stake holders of the institution. Nurture the citizens to uphold the needs and interest of the community, society, nation and the world. Undertake meaningful extension activities and outreach programmes to develop social orientation among the teacher trainees. Appropriate attitudes in accordance with social, cultural, and economic realities, at local, national and universal levels. The city of Allahabad is among the largest cities of Uttar Pradesh and situated at the confluence of three rivers- Ganga, Yamuna and the invisible Saraswati. The meeting point is known as Triveni and is especially sacred to Hindus. The earlier settlements of the Aryans were established in this city, then known as Prayag" Prayagasya Praveshshu Papam Nashwati Tatkshanam. All sins are cleaned with entry in Prayag ( the ancient name of modern time Allahabad) PRAYAG is one of the historic and mythological cities of India with glorious past and present. It continues to enjoy the distinction of being a place of haunting and lasting memories. It is a city of mixed culture of Hindu, Muslims, Jains and Christians. Prayag is birth place of Som, Varuna and Prjapati. Prayag has been associated with mythological personalities in Brahmanical(Vedic) and Buddhist Literatures. It was the seat of the great sage Bhardwaj, sage Durvasa and Sage Pannas sage Bhardwaj lived here circa 5000BC and taught more than 10000 disciples. He was the greatest philosopher of ancient world. 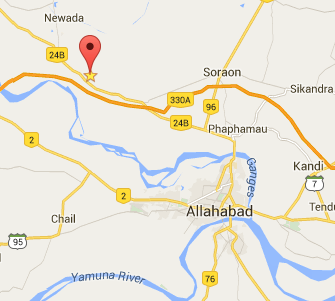 The Institute is located near Mansoorabad on Lucknow Road. Buses and Auto Rickshaw can be availed from Civil Lines and Teliarganj. The Latest Updates & News Shall be Placed Here. The Institute Affliation is in Progress. The Fresh admission details and related information can be obtained via office.